East Bay Democratic Socialists of America rejects in the strongest possible terms the ongoing US economic and political intervention in Venezuela, and we firmly oppose the US- orchestrated coup d’etat underway that seeks to replace the country’s elected government with a right-wing puppet of Donald Trump. As socialists in the United States, we have a special responsibility to oppose American imperialism wherever it rears its ugly head, and we ask the people of the East Bay not to blindly follow our leaders down another path of destruction and war just to line the pockets of the rich. We take our lead on the situation in Venezuela from socialists and radical grassroots activists on the ground who—far from celebrating the imposition of an unknown figure backed by Trump and Brazil’s extremist leader Jair Bolsonaro—are at the vanguard of opposing imperialist violations of their national sovereignty. They understand that an American- sponsored coup in Venezuela will only deepen the continent’s subordination to the interests of Western capitalists, and will hinder progress toward social justice and independence not only in Venezuela, but also around the world. Whatever one’s opinion about Nicolas Maduro, it is clear that Venezuela is being punished by the United States not because of “human rights concerns” or “violations of democratic norms,” but for daring to challenge American imperial hegemony, and for offering the Global South an alternate path to development that did not run through Pennsylvania Avenue or Wall Street. Since World War II, American imperialism has regularly cited “human rights” and “democracy” as justifications for its self-serving interventions, while perpetrating its own abuses and frauds and facilitating those of its allies. Today, on what grounds can a country that throws migrant children in cages, which bombs hospitals in Afghanistan, and which starves Yemen into submission claim a right to speak on human rights? On what grounds can a country whose chief ally is a violent hereditary monarchy claim to care about spreading democracy? The cynicism and hypocrisy of the United States government knows no limits. 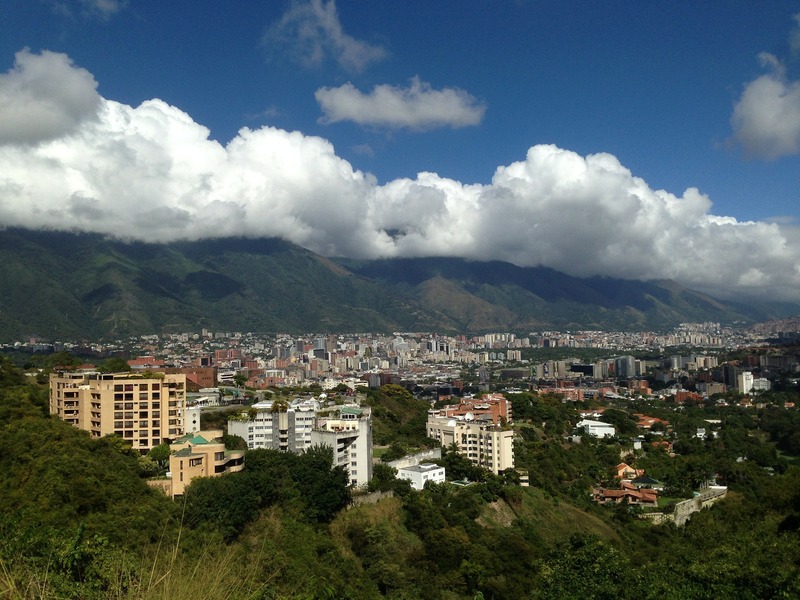 It cannot be ignored that the US-backed efforts at destabilizing Venezuelan society and at wrecking Venezuela’s economy have had devastating effects. What might have been simply an economic recession starting in 2014 has turned into an intractable crisis, as the United States and its allies have systematically blocked Venezuela’s access to credit and global markets, while manipulating its currency into worthlessness and—in 2015—encouraging Saudi Arabia to overproduce oil so as to drop prices below Venezuela’s production costs. At the same time, right-wing forces within Venezuela have sought to create the image of a dictatorship-in-development to justify an American intervention. Its main parties refused to participate in (and boycotted) the 2018 presidential election, and successfully lobbied the United Nations not to send electoral observers, so they could later denounce the elections for not having independent observers. And while the right-wing, oligarch-led opposition dresses up their coup attempt in the language of democracy, their efforts have no constitutional basis. The much-cited Article 233 of the Venezuelan Constitution only allows the National Assembly to remove a President in the case of “absolute abandonment” of the office, and even if Nicolas Maduro were to meet those criteria (which he does not), Article 233 requires that his replacement be Vice President Delcy Rodriguez, not opposition figurehead and self- proclaimed president Juan Guaido. The combined effect of this multi-pronged assault on Venezuela, without even mentioning three successful right-wing coups in Latin America since 2009 that picked off its allies, has laid the necessary groundwork to justify this egregious violation of national sovereignty we are observing today. We know from the experience of Chile that the United States government, along with its reactionary, pro-imperialist allies in Latin America, will not hesitate to impose economic war on entire peoples for geopolitical gain. Upon the election of socialist Salvador Allende in 1970, US President Richard Nixon and his henchman Henry Kissinger engaged in a policy intended to “make the [Chilean] economy scream,” so as to sow chaos and instability in Chile as a justification for a military coup. And just like in Venezuela, Western media repeatedly tarred Allende as an authoritarian who was attempting to trample on Chilean democracy. Who among us that knows this history can look at Venezuela and not see the parallels? Just as in Chile, the full extent of the deceit and sabotage will not be known for many years, but what is visible on the surface is sufficient to understand that history is repeating itself, and we have no intention of remaining silent as it does. As socialists, and as internationalists, we demand the immediate lifting of economic sanctions, the end of the financial blockade, and the abandonment of the policy of regime change toward Venezuela, and we stand in solidarity with the grassroots movements across Venezuela fighting against all odds for socialism and democracy. Adelante!